Broker Educational Sales & Training, Inc. (BEST) is a Premier Provider of Continuing Education (CE) Training programs for Financial and Insurance Professionals. Since 1986, BEST has trained over 150,000 professionals nationwide with its well established and highly praised course content. Courses are approved nationally and credits are maximized to allow for quick and easy completion. 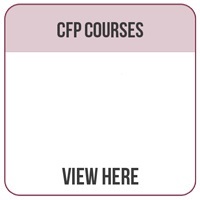 Effective November 1st BEST will provide online courses and exams for the CFP Professional. If you are interested in taking one of our courses as correspondence/self-study in paper format call 800-345-5669 and speak with the self-study department to place your order. Corporate Website: Broker Educational Sales & Training, Inc.
*Prices subject to change without notice and do not include state fees, if applicable.